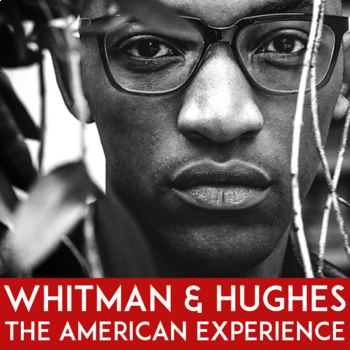 In "I Hear America Singing" by Walt Whitman and "I Too Sing America" by Langston Hughes, the two poets present parallel views of the American experience. 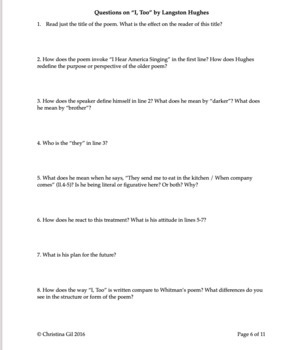 Whitman’s poem is joyous and celebratory; Hughes’ poem is more skeptical, but it is not without hope. 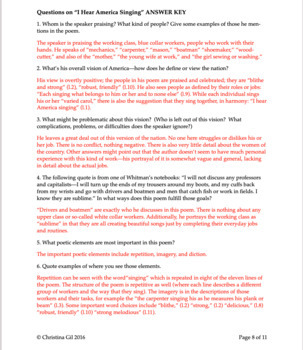 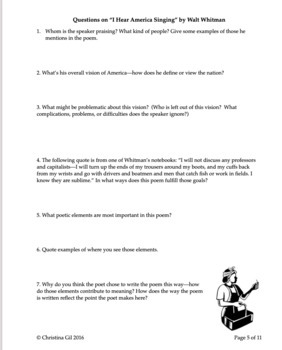 Questions encourage close reading, analysis of poetic elements, as well as deeper thinking and discussion about the themes and big ideas of the poem.